Formed around a nucleus of pilots already seasoned by their experience as volunteers in the RAF's Eagle Squadrons, the 4th Fighter Group was established in England in October 1942. 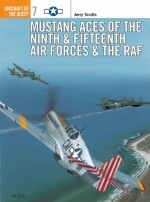 Initially flying Spitfires, the Debden Eagles went on to fly the P-47 and P-51, becoming, in July 1943, the first Eighth Air Force fighter group to penetrate German air space. The group's record of 583 air and 469 ground victories was unmatched in the Eighth Air Force, and the group produced a cast of characters that included legendary aces Don Blakeslee, Pierce McKennon, "Kid” Hofer, Duane Beeson, Steve Pisanos and Howard Hively. Involved in the D-Day landings, Operation Market Garden, the Battle of the Bulge and the crossing of the Rhine, the group's achievements came at a high price, with a 42 percent casualty rate. 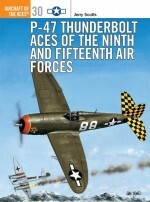 Packed with first-hand accounts, detailed aircraft profiles and full combat histories, this book is an intriguing insight into the best-known American fighter unit in World War II. 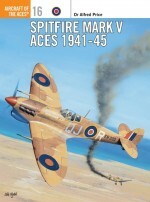 Chris Bucholtz, in addition to a 12-year career as a technology journalist, has written extensively on aircraft history and on scale modelling. He is the aircraft editor of Internet Modeler, where he introduced his 'The Pilot and The Plane' series of long-form interviews with World War 2 aviators in 2002, and is the managing editor of the IPMS/USA Journal. His work has appeared in Flight Journal, Air Enthusiast and Plastic Kit Constructor. 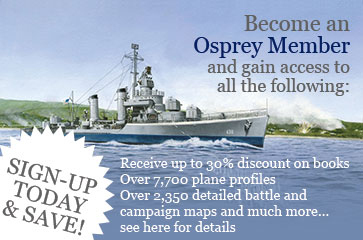 He wrote AEU 23: 332nd FG Tuskegee Airmen for Osprey in 2006.Since 1994, Chris Davey has illustrated more than 20 titles for Osprey's Aircraft of the Aces, Combat Aircraft and Aviation Elite Units series. Based in Mansfield, Nottinghamshire, and one of the last traditional airbrush artists in the business, he has become the artist of choice for both USAAF fighters and RAF subject matter.